An essential component in securing a capping to featheredge fencing. A Counterail is secured level with the top of the featheredge fencing to allow capping to be fixed down into the counter rail. This finishes the fence off attractively and also protects the end grain of the featheredge. 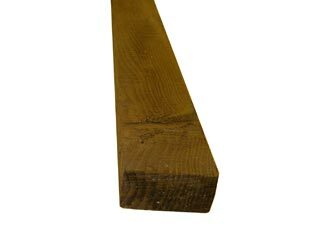 Made from high-quality, pressure-treated, 65 mm x 35 mm British timber.